"For those still thinking Apple is going to have to recall the iPhone 3G over faulty chip issues hampering its connections, there are two reports today suggesting that will not happen. One indicates the iPhone connections are perfectly normal, while another seems to put the blame solely on the carriers' networks for any connection woes." "Is there a problem with iPhone's antenna? Is the coverage worse than for other mobiles? There are many rumors on the internet. In the USA someone is going to sue Apple. We took our iPhone to a test chamber for fact-finding. "Bluetest is a small company at Lindholmen Science Park which sells test chambers for wireless devices with small antennas. In a noise free metal chamber the mobile communicates with a simulated base station. The equipment measures how the mobile sends and receives signals under different conditions. For manufacturers and others who want to make a test the test is much faster and more reliable than travelling around to check the performance at different locations. "Bluetest's chambers are used by among others mobile phone manufacturers such as Motorola, and TCO which has a system for certifying mobiles. "I had already in my thoughts started to write the awkward article about how the mobile I think works so well failed the test. But after some rotations in the test chamber, where the mobile is rotating as in a microwave oven, I get the good news. "The values are completely normal, says Magnus Franzén, an antenna engineer with an M.Sc. in Engineering Physics...."
"Mobile Computer has a video comparing the performance of the Web browser in the BlackBerry Bold to Safari on an iPhone 2G. It was a poor showing for the Bold. "The article discusses the cosmetic changes RIM made to the Bold's interface and finished with a video that shows how much faster Safari is on the iPhone 2G." "This time I won't show you anything fancy , nor properly mandatory , But believe me it will improve the life of the plug from 6.5 months to 2+ years...."
"The iPod touch is a wonderful device. It holds music; it holds movies. I can bring it with me wherever I go. But it's not the most rugged device. Water is not its friend, and I don't dare use it when I'm in my backyard building my new deck. "My iPod touch needs protection. 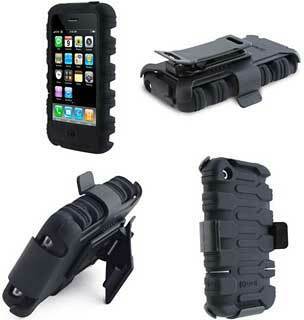 After shopping around, the only solution I could find was the OtterBox iPod touch Armor case. This hard plastic case is shock- and waterproof and allows control of the iPod touch's touchscreen through a clear plastic film - but it is really only good for earphone listening. I figured I could improve upon the concept. I envisioned a boombox - waterproof and nearly indestructible - that could transport my tunes to any environment. Because there isn't any product like that on the market, I was going to have to build one myself...."
"Newspapers across the country are in turmoil as advertising revenue continues to flood out of print and onto the Web. Classified advertisements, especially the real estate listings that papers have long depended on, have shifted to Craigslist and other free Web sites. "A new home-finder application for the iPhone that I wrote about this week could be something else for publishers to worry about...."
PR: With Loopt, turn your iPhone into a social compass and never be lonely, bored, or hungry again! Pinch, tap, and drag an interactive map to find where your friends are and what they're doing. Connect on the fly and instantly share photos and comments with all your friends and communities like Facebook and others. Discover and explore nearby places and events recommended by friends and popular local services such as Yelp. You can always change your privacy settings if you don't want to be found. Loopt works with iPhone 3G and the original iPhone. It also works across multiple carriers and devices so you can also share location with friends even if they don't have an iPhone. Loopt for iPhone is free to download, but data and messaging (including SMS text messages) plans are required. Loopt currently requires the use of SMS text messages. Standard data and messaging charges from your carrier apply. PR: AT&T Inc. announced expanded international data offerings to help keep iPhone customers connected around the world. Beginning tomorrow, AT&T will offer two new plans that accommodate iPhone customers' increasing reliance on data services while traveling abroad. The two new plans, which offer 100 megabytes (MB) or 200 MB a month, can potentially save customers hundreds of dollars compared to pay-per-use international data roaming charges. For discounted international data usage in 67 countries(1), the 100 MB iPhone plan is available for an additional $119.99 a month, while the 200 MB plan costs an additional $199.99 a month(2). These new plans are in addition to existing plans for smartphones, including iPhone, which offer 20 MB and 50 MB in the same countries. There are no long-term commitments required, so customers can add or remove these plans to their existing packages on an as-needed basis. "AT&T has worked diligently to provide affordable options for international roaming because the feature-rich mobile experience of iPhone is indispensable to users," said Bill Hague, executive vice president of International for AT&T's wireless operations. "With these new international data plans, iPhone users can access more data in more countries for less cost." With the largest global footprint of any wireless provider, only AT&T customers can make and receive calls in more than 200 countries and send email and browse the Web in more than 150 countries, including more than 60 countries with high speed third-generation (3G) coverage. AT&T also offers voice and data coverage on 120 major cruise ships. iPhone 3G is one of more than 40 world devices AT&T offers, more than any other US wireless service provider. AT&T customers can take their new iPhone 3G devices around the world, including Japan and South Korea, which require a device that operates on 2100 MHz. iPhone customers can also save money by following some simple tips, including keeping data roaming in the preset off position, using WiFi when possible, turning off automatic checks for email and setting the usage tracker to zero at the beginning of a trip to monitor use. To help travelers stay connected and manage their wireless costs, AT&T offers a variety of resources. AT&T's Travel Guide allows customers to create an itinerary with rate information for up to 10 international destinations as well as review discounted voice and data packages. For more information about international coverage and rates, customers can visit http://www.att.com/wirelessinternational or call 866-MOBILITY. PR: Zagg Inc., producer of patented transparent protective film coverings and accessories for mobile electronics, announced today that the company's flagship product, the InvisibleShield, is now the top selling accessory for the Apple iPhone 3G. The InvisibleShield is made of an ultra-thin material originally used by the military to protect the leading edge of helicopter blades, and now comes custom cut to shield today's hottest gadgets. Shortly after Apple announced the sale of its 1,000,000th second generation iPhone, Zagg had sold over 100,000 InvisibleShields for the iPhone 3G, covering a staggering 10 percent of the devices and placing Zagg atop the crowded iPhone accessory market. The announcement comes on the heels of the company's second quarter earnings report, which boasted a nearly 250% increase in year-over-year sales. "The InvisibleShield has sparked a revolution in the way people think about their gadget protection," says Robert Pedersen II, CEO of Zagg Inc. "According to our research, the InvisibleShield is the top selling accessory for the iPhone 3G, and with good reason. As the first virtually invisible 'case' to protect for life, it truly is a must-have accessory for the iPhone, as well as other electronics. The InvisibleShield isn't just a screen protector on steroids, but a full-body wrap, protecting the whole device. As sales of the iPhone 3G continue to skyrocket, sales for the InvisibleShield have grown stronger as well." Recent numbers show that Apple plans to build up to 45 million new iPhones in the 12 months through August 2009. And according to New York-based ABI Research, handset accessory sales are expected to top $40 billion in 2008. The explosion of this relatively new market was aided in no small part by the ubiquitous iPhone. While enjoying the benefits the iPhone 3G has invited, Zagg will continue to be the first to provide precision designed and cut protective InvisibleShields for new models from other innovative manufacturers such as LG, Samsung, Palm and BlackBerry, who are counting on the success of their own smartphones to challenge Apple's dominance in the market. A major shift in the industry toward touchscreen capabilities makes the need for Zagg's InvisibleShield brand of protection all the more urgent. Traditional cases either cannot protect these screens without hindering usability, or they are made of a cheap disposable film that easily scratches. This is not the case with the InvisibleShield. "We won't rest until our revolutionary brand of protection is the top accessory for all mobile electronics," says Pedersen. "We protect thousands of different devices, without concealing their intended design, and we guarantee that protection for life. That's the kind of accessory everyone should know about." PR: Hosted email platform keeps costs low, delivers high-quality, more personable service. There's no doubt as to the enormous power of the Apple brand and the excellence behind its technologies. Yet Apple's iPhone users are warming up to a fresh, more affordable alternative to MobileMe. MailPronto, which offers hosted exchange, hosted email and managed email services, has noted a spike in customers signing on for its hosted email program after researching their options. MailPronto provides nearly identical email services as MobileMe, yet the independent online provider is able to do so at a lower cost. Whether iPhone users are signing up for a single plan or purchasing the services for an entire company, they're finding MailPronto costs less - and they're liking it. "Saving money and 'trimming the fat' from everyone's budget is top-of-mind nowadays," says Octavio Diaz, COO of MailPronto. "MailPronto gives iPhone users a fresh alternative in hosted email services without sacrificing the quality of its offerings or skimping on the features. In looking at MobileMe and MailPronto, you'll see we provide almost the exact same benefits yet our price tag is lower. That's why we're busier than ever and receiving strong customer testimonials everyday. People are telling us we're the best value out there right now." MailPronto is $8.95 a month per emailbox, and it's based on the tried-and-tested Microsoft Hosted Exchange platform. Like MobileMe, MailPronto provides real-time email exchange, so emailing happens seamlessly and instantaneously. MailPronto also manages all email-related services, plus it stores calendar and contact information through its online server. Real people - as opposed to recorded messages or automated customer service - assist MailPronto customers with their needs. This gives MailPronto yet another competitive edge in its industry, making it a leader in exceptional, efficient and cost-effective dedicated service. "Our customers can have faith in what we provide for them, and enjoy the experience of choosing us as their hosted email provider," Diaz says. "We're smaller than the big guys in our industry, yet we're definitely playing in their field. With our solid service, more personal approach and excellent pricing, we see ourselves as the winners." MailPronto supports both iPhone 2.0 and iPhone 3G, and signing up is easy through its user-friendly website. Additional customer benefits include: Free Outlook 2007 Software; Free Virus and Spam Filtering; Free ActiveSync for Treo/PocketPC; Free Outlook Mobile Access; and 2 GB of Mailbox Space. Plus, MailPronto's Hosted Exchange service is fully compatible with Outlook 2003, Outlook 2007 and Entourage. PR: Audi of America has announced the release of the first ever iPhone application from an auto manufacturer. 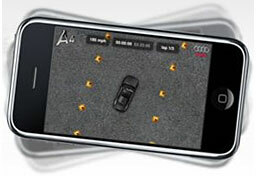 "Audi A4 Challenge" is a driving game that utilizes the iPhone's accelerometer (motion sensor) to steer a digital version of Audi's entirely new 2009 A4 through a series of progressively challenging courses. Players maneuver the course and race against the clock to beat their own personal best time. The application is now available free of charge on Apple's iPhone Application Store. 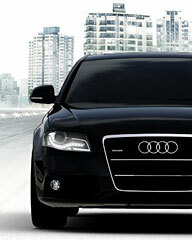 The 2009 Audi A4 will be available in Audi dealerships nationwide starting in September of 2008. "The iPhone is an ideal platform to help introduce the entirely new Audi A4 to the public," said Scott Keogh, chief marketing officer, Audi of America. 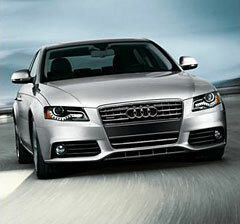 "Audi customers are smart, sophisticated and technologically savvy. As a brand, we are committed to progress and innovation at every turn. We're very excited to be the first automotive manufacturer to connect with our audience through the iPhone." Located in Denver, Factory Design Labs, Audi's interactive agency of record, designed the game in just two weeks. "Innovation is the foundation of the Audi brand," said Scott Mellin, CEO of Factory Design Labs. "This is the first application by an automotive OEM, but it's also reinventing the shopping experience. In combination with the A4 iPhone web site, this is the first viable mobile marketing solution in the automotive space. Importantly, it is also a unique way to engage the consumer with the DNA of the Audi brand." To support the application and the launch of the A4, Audi has also created an A4 iPhone experience web site that allows users to experience and learn more about the entirely new Audi A4. Customers who visit www.truthinengineering.com/a4/iPhone on their iPhone will find a unique interface and content on the A4, specialized videos, wallpapers, an exterior color customizer, a dealer locator and link to install the Audi A4 Challenge application. Audi of America, Inc. offers a line of luxury vehicles that include the Audi A3 sport compact; the sporty A4 sedan, Avant and Cabriolet models; the high performance S4 sedan, Avant and Cabriolet models, the high-revving RS 4 sport sedan and Cabriolet; the all new A5 Coupe with FSI direct injection technology; the S5 Coupe with 354 hp; the design-leading A6 sedan and Avant; the V-10 powered high performance S6 sedan; the Audi Q7 performance SUV; the new all-aluminum Audi A8 and A8L; the new S8 with V10 power; the all-new 2008 TT Coupe and Roadster models; and the all-new, all-aluminum R8, one of the most exclusive mid-engine sports cars in the world. Upcoming Audi vehicle launches in the USA include the updated A3 with quattro all-wheel drive (Sept. 2008), all-new A4 sedan/Avant (Sept. 2008), TTS coupe and Roadster (end 2008), Audi Q7 3.0 TDI (Q1 2009), and Audi Q5 (Q1 2009). Kensington Computer Products Group has announced that it has received Apple's "Works with iPhone" certification for its line of Battery Packs and Chargers for the iPhone 3G. The new iPhone 3G has received overwhelmingly positive response except for how quickly it drains battery power. Kensington has addressed this problem by offering a full line of battery packs and chargers that users can easily carry with them at all times. Now they can use all the exciting new iPhone 3G features as much as they like without ever again having to worry about running out of battery power. Kensington's "Works with iPhone" Apple-certified products make it the "one stop shop" for iPhone 3G power accessories that also work with the original iPhone and iPod music players. Its new line includes standard and mini battery packs - the mini is so small that people can keep it plugged into their iPhone at all times without it getting in the way. The new Car Charger lets people power up from their car's power outlet while they drive. The Car Charger Deluxe - #1 consumer-rated and top seller on Apple.com1 - comes with a flexible arm and cradle for securely holding the iPhone within reach and keeping it fully charged, while driving. In September, Kensington will also add an International Travel Charger, a Power and Sync Cable and a Dual Charging Dock to its product line. "If you have a new iPhone 3G, then you are aware that it consumes a lot of power," said Kevin Ngo, Global Product Manager at Kensington. "In order to get the most enjoyment out of your new iPhone, Kensington has created a product for every situation - giving us one of the largest selections of iPhone power accessories on the market - so that you can depend on full power no matter where you go and what you do. We're especially proud of our "Works with iPhone" Apple certified products because Apple has very high standards for awarding this certification just as we have very high standards for our smart made simple products." Kensington's Mini Battery Pack and Charger for iPhone and iPod (SKU K33442US) keeps your iPhone powered or charged whenever and wherever you need it. Small enough to slip in a pocket or stay attached to your iPhone, the Mini Battery Pack & Charger for iPhone and iPod extends talk time up to 3 hours, in addition to 30 hours of music play time and 6 hours of video play. 2 Suggested retail price: $49.99. Two innovative car chargers let you use and recharge your iPhone 3G while you drive. The Kensington Car Charger for iPhone and iPod (SKU K33410US; SRP $19.99) provides battery life from your car's 12-volt power outlet and includes a convenient USB dock connecting cable. The Kensington Car Charger Deluxe for iPhone and iPod (SKU K33433US; SRP $49.99) features a flexible arm and cradle for optimal horizontal or vertical positioning. It secures your iPhone while on the road to allow safe and easy handsfree speakerphone conversations and eye-level GPS navigation. Kensington adds a new international portable charger for your iPhone 3G or iPod that works wherever you travel. The International Travel Charger (SKU K33435US) has convenient wall plugs that you can change in seconds to provide the power you need, in over 150 countries. The detachable cable allows you to charge your iPhone or iPod from the wall socket or your notebook computer. Kensington introduces its Power and Sync Cable for iPhone and iPod (SKU K33444US). This cable will allow you to power or sync your iPhone or iPod. Certified for iPhone and any iPod with dock connector.3 Suggested retail price: $14.99. Based on sales and ratings of car chargers for iPhone and iPod on Apple.com dated July 23, 2008. Actual play time may vary by device. Some devices, depending on age and usage, will have extended usage times that differ from above. As your Kensington battery pack and chargers are used over time, they will have a reduced ability to provide extended time, and the times will decrease from those shown above. The new Kensington battery packs and car chargers are currently available at Amazon.com, Apple.com, Kensington.com and other major retailers. The International Travel Charger and Power and Sync Cable will be available next month. PR: Intuit Inc. has announced both iPhone and BlackBerry integration with QuickBooks Online, the leading Web-based small business accounting software. Now the more than 130,000 small businesses that subscribe to QuickBooks Online have even more freedom to manage their business anywhere, anytime - with or without a computer. These early version Web-based mobile applications are part of Intuit's Connected Services strategy to help entrepreneurs connect to their data when and where they need it. Checking current bank and credit card balances. Tracking who owes them money and who they owe. Finding vendor and customer contact info with addresses via Google Maps. Running balance sheet and profit and loss reports. "QuickBooks Online is perfect for us as there is no 'office,' just volunteer member parents working from various home or work offices," said Laura Olcott, treasurer for Twin Cities Co-op Preschool in Corte Madera, Calif. "Given the virtual nature of our interactions, iPhone support helps us be more productive. While waiting for an appointment, I was able to check QuickBooks Online using my iPhone to look up parents with open balances and send them an email reminder to pay their bill." "A growing number of small businesses are looking to mobile technology to run their business," said Rick Jensen, senior vice president of Intuit's Small Business Division. "Our goal with these new mobile services is to give QuickBooks Online users the edge they need to compete and manage their busy lives by keeping tabs on their business even when they are out of the office." The iPhone and BlackBerry Web-based applications for QuickBooks Online are part of IntuitLabs.com, a site where customers are encouraged to try Intuit's early concept releases and contribute to the innovation process by providing feedback. The site includes applications that address several important customer problems in a range of categories for consumers and small businesses. More information on QuickBooks Online on the iPhone and BlackBerry is available online. QuickBooks Online is available starting at $9.95 per month. The iPhone and BlackBerry applications are free to QuickBooks Online users. Launched in 2000, QuickBooks Online has more than 130,000 small business subscribers with 340,000 actual users. This easy-to-use, Web-based accounting software gives business owners the flexibility to access their data anywhere, anytime via the Web. Along with tracking "money in" and "money out," they can create invoices, check customer balances and share their books real-time with an accountant and employees. PR: Speck has announced they've added a new but familiar member to its line of cases for iPhone 3G. The ultra-durable and rugged ToughSkin for iPhone 3G is the latest from Speck and is now available. "ToughSkin has always been and continues to be an extremely popular case for Speck worldwide" said Irene Baran, CEO of Speck. "Our refresh of ToughSkin for iPhone 3G focused on expanding upon the versatility, styling and protection that have all become the hallmarks of the ToughSkin design." The ToughSkin now sports an all-new treaded texture for extra grip and comfort and features a tough, rubberized skin with slightly thicker corners for added protection from accidental bumps. Also new is a hinged bottom that can be pulled back for docking while in the case. The included detachable holster and swivel belt-clip has also been refreshed to offer an extra-secure, positive-lock on the case and allows the iPhone to be placed face-in or face-out in the holster. Openings in the case provide access to all controls, functions and ports. The ToughSkin, along with the recently announced SeeThru and PixelSkin, are available online at speckproducts.com for $34.95. PR: Marware Inc. has announced the Sidewinder Deluxe. 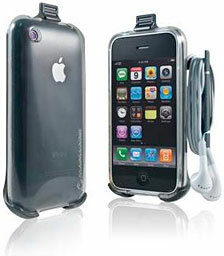 This innovative carrying solution allows you the ultimate flexibility in carrying your iPhone 3G. The protective shell provides a sleek, low-profile carrying case ideal for use in a pocket, purse, or bag. It's slim, fits anywhere and provides an ideal blend of protection and easy access to your iPhone. Snap the Flexi-Shell into the holster and combine the benefits of a shell case with the flexibility of a holster case. The holster's retractable sidearm slides out from behind so you can wrap your headphones for secure storage. A removable, low-profile belt clip lets you wear the Sidewinder Deluxe on a belt or waistband. Black and White Flexi-Shell color options sold separately and available soon. The Sidewinder Deluxe for the iPhone 3G retail for $34.99 and is now shipping. Additional Flexi-Shell options will be available separately in black and white. Please visit their website for more information. Marware is a leading provider of software and accessory solutions for Apple iPhones, iPods, and Notebooks. PR: iPhone owners want to keep their expensive, sleek product in good shape, protecting it from scratches, bumps and dings. Even with so many hard-case options on the market, very few work with the iPhone or other touchscreen phones because the shells are made for regular phones and are too thick for the technology to recognize your fingertips. The NuTouch Case for the iPhone 3G allows full navigational control of the phone's touchscreen through a crystal hard-case, for sale only at Fommy.com. "The case conducts the body's continuous electrical current through the protective polycarbonate shell and onto the screen without any interference," remarked Pallavi Dinesh, COO of Fommy.com. "The technology really is revolutionary and unique." In addition to providing protection without interfering with functionality, the NuTouch Case's sleek frame has exact cutouts for 'home' and 'wake' buttons, volume control, headphone jack and charging port. For more information or to order the NuTouch Case for the iPhone 3G, which is also available for the Samsung Instinct, LG Dare, Samsung Glyde, LG Vu and first-generation iPhone and iPod Touch for $29.95 plus shipping, or one of Fommy.com's other unique wireless accessories, visit fommy.com. PR: CompanionLink Software, a leader in mobile synchronization solutions, releases iPhone software for Lotus Notes users. The software, called iClink, wirelessly synchronizes contacts, calendar events, and to-do items between the iPhone and Lotus Notes. The iClink software runs on the iPhone and works with CompanionLink Professional desktop software. The solution allows iPhone users to access and edit their Lotus Notes contacts, calendar events, recurring appointments, to-do items, and notes directly on their device. Two-way wireless sync ensures that data modified in either Lotus Notes or on the iPhone will always remain in sync. "Today's Lotus Notes users have limited options to wirelessly synchronize their data with their iPhones," said Rushang Shah, Director of Marketing at CompanionLink Software. "Staying true to our pioneering culture, our iClink software puts an end to that limitation. Lotus Notes users can now get their data without docking their iPhone with their PCs." iClink is available on the Apple App Store for $39.99. CompanionLink Professional is available on the company's website for $99.95. PR: Readdle announces the release of ReaddleDocs, a complete document and file management solution for the iPhone and iPod touch. With ReaddleDocs anyone can transfer files from Windows, Mac or Linux computer to the iPhone and iPod touch devices, view them on the go, send by email and more. Readdle announces the release of ReaddleDocs, a complete document and file management solution for the iPhone and iPod touch. With ReaddleDocs anyone can transfer files from Windows, Mac or Linux computer to the iPhone and iPod touch devices, view them on the go, send by email and more. ReaddleDocs operates through Readdle Storage, the 512 MB free online file storage. This allows to support many important business functions e.g. working with emails and transferring files to iPhone without WiFi, using EDGE or 3G. Business people can save attachments they got in the Mail or send files stored in ReaddleDocs to their colleagues and partners. ReaddleDocs built-in viewer supports PDF and Microsoft Office files made with Word (doc, docx), Excel (xls, xlsx) and PowerPoint (ppt, pptx). To read documents created using software like MS Project, MS Visio or OmniGraffle people could simply print them as PDF files and copy to ReaddleDocs. For individuals who use their devices to read books ReaddleDocs offers variety of book formats. TXT, FB2, RTF and HTML files are supported in addition to PDF and .doc documents. Also, application supports quick scrolling through document allowing to easily navigate in large files and ability to bookmark at any place in the document. Another ReaddleDocs remarkable feature is a built-in web browser. It's intended for helping users, to save documents found on the Web, to their device. Pricing and Availability: ReaddleDocs is available for $14.99 at App Store. PR: Canadian developer Luke Gladding has released his finance application for the iPhone and iPod touch through the iTunes Store. The new money management application, "Ledger", allows users to track their funds like an accountant. Users can record purchases, transfers, loans and more as well as export account balances and transactions via email. The application is available at the iTunes Store under App Store / Finance. A QuickTime demonstration of the application can be found at the Ledger website. Ledger sells for $3.99. PR: WebIS announces Note2Self 1.11, an update to their simple and easy-to-use audio recorder for Apple iPhone. Designed from the ground up to take advantage of the iPhone's unique abilities and interface, Note2Self is an incredibly simple application to keep track of task items via the email inbox. As wonderful as iPhones are, they still lack an easy way to create actionable items with the most natural method of output: the human voice. Note2Self allows anyone to quickly record a voice note, save it in a Saved Notes list and automatically send it to a preset email address. All of this can be performed handsfree, without having to select a contact, type text, or any other distraction that could prove dangerous or difficult to do. The key to unlocking productivity is for Note2Self to be incredibly streamlined and focused. Start Note2Self. Bring the iPhone up to the ear and start talking. Bring it back down and the recording stops. The recorded message is saved or emailed automatically. Version 1.11 offers additional features which will be particularly useful to anyone on the go. Users can now choose to shake the iPhone to record a note, or simply turn it face down on a desk. And Note2Self also sports GPS Location Tagging of voice notes too, making it easy to see at-a-glance the location from where the note was taken. Additionally, users may reorder notes up or down the list, so naming and ordering of voice notes brings Note2Self up to a new level of note taking. Leveraging Apple's Cocoa Touch foundation, Note2Self is gorgeous looking and truly an easy to use application. It uses the proximity sensor to turn off the screen when the iPhone is brought up to the face. And likewise, the accelerometer toggles recording on and off automatically. Instant, hands free voice mail. Only on the iPhone. Note2Self can record audio as long as there is free space, and offers two encoding options to help decide the quality of the voice message which are playable with Apple's QuickTime software. While the iPhone email client is capable of sending attachments, this ability is not yet available to Apple iPhone Developers. So for Note2Self to send email voice notes, WebIS has set up a passthrough server that accepts voice notes via a web service and then sends the email to the recipients. Note2Self 1.11 for iPhone is $2.99 and available exclusively through Apple's App Store. PR: Sony has unveiled its new wireless, multi-room audio system for listening to iPod players. The new S-AIRPLAY system features Sony's S-Air technology, which provides a practical, wireless multi-room solution without complicated setup requirements. Wireless audio can be transmitted from the system's main docking station in one room to various rooms throughout the home - up to nearly 164 feet - simply by plugging a separate S-Air wireless speaker into a power outlet. "This technology makes it easy to listen to music from a compatible iPod without carrying it from room to room," said Junior Ali, director of marketing, personal audio products at Sony of Canada Ltd. "It's an easy, inexpensive way to get multi-room audio without professional installation." S-Air technology delivers audio wirelessly to the included speakers without interfering with other household devices. The system comes with one docking station and two S-Air wireless speakers, but it can transmit to up to 10 speakers simultaneously (additional speakers sold separately). Equipped with an AM/FM tuner, the S-AIRPLAY system's dual source feature lets users listen to music from the iPod player or from a radio station. Listeners in one room can hear their favorite radio station, while listeners in another room can enjoy music from the iPod at the same time. The S-Air wireless speakers include remote control capability for the iPod player's music tracks so you can advance or go back to previously played songs. The speakers also incorporate sleep timers and an alarm clock function, making them perfect for bedside placement. To connect to an existing home theater system or television set, the docking station includes composite A/V outputs. It also charges the iPod while it is docked. Pre-orders for the S-AIRPLAY audio system are now being accepted online at www.sonystyle.ca. The system (model AIR-SA20PK) will be available in September for about $400 at Sony Style locations and select retailers nationwide. Additional S-Air wireless speakers will also be available next month for about $130 direct from Sony. PR: Bose has introduced the SoundDock Series II digital music system - a speaker system for iPod and iPhone that combines the same small size and high-quality audio performance as the original SoundDock system, with an enhanced look and added functionality. It is the first "Works with iPhone" certified SoundDock system from Bose. The system features a new auxiliary input that lets users connect other audio devices, such as an MP3 player, portable CD player or music-enabled phone. It provides dock-and-play simplicity and will charge an iPod or iPhone while in use. No additional setup is required. An included infrared remote controls the system and basic iPod and iPhone functions, including playlist navigation, from across the room. Volume controls are located on the unit. The design of the SoundDock Series II system has been updated to more closely resemble the clean and distinctive lines of the Bose SoundDock Portable digital music system. It maintains a small footprint, measuring just 6 5/8" high by 12" wide and only 6 1/2" deep. Using an integrated systems approach, all elements of the SoundDock Series II system were engineered to work together to produce high-quality sound from a sleek, compact package. The system incorporates Bose proprietary acoustic design and signal processing to produce accurate sound reproduction and a spacious listening experience. The SoundDock Series II system works seamlessly with the iPhone 3G and original iPhone models. It also works with most iPod models, including iPod touch and any iPod featuring a click wheel, including all nano, mini, photo, video and classic models. The SoundDock Series II system is available in Gloss Black from Bose for $299 beginning in early September. It will be sold at authorized Bose dealers, Bose retail stores, and online. PR: App Store Gems, a website highlighting some of the best apps on Apple's App Store for iPhone, has debuted. The site was created to help people cut through the clutter that's become prevalent on the App Store since it launched last month. The site is currently featuring six high quality apps: "Where To? ", a slick points of interest app ($2.99), Pennies, a stylish budget tracker ($2.99), FileMagnet, a handy file copying utility ($4.99), Sketches, a fun drawing app ($5.99), Kineo, an app that lets you easily create flip-book style animations ($4.99), and Groceries, forthcoming app that helps you manage your grocery lists ($4.99). App Store Gems plans to expand to feature more apps in the future. In an effort to give back to the community, all featured developers agreed to donate all of their revenue for App Store Gems' launch day to a charity of their choice. The charities chosen were UNICEF, Oxfam International, Teach for America, Prevent Cancer Foundation, and American Humane. "We're really excited to join these talented Mac developers and spread the word about our new iPhone projects through App Store Gems," said Austin Sarner, Pennies developer and creator of the popular Mac app, AppZapper. Ollie Wagner, co-developer of Kineo added, "App Store Gems provides a showcase for best of breed apps on the iPhone, so it was an honor when we were asked to have Kineo be a part of it." PR: Aliph, an established market leader in noise eliminating Bluetooth headsets, today announced that the new Jawbone, introduced in May and met with enormous success and rave product reviews, is now available in the Apple Store retail locations nationwide. Most recently, the company has run a successful online campaign tied to the handsfree legislation passed in California, offering a $20 discount on the new Jawbone to people who have received a ticket. Since the cell phone law took effect, the highway patrol has ticketed more than 7,000 drivers statewide. Legislation mandating handsfree solutions for people who want to use their wireless phones while driving is now in effect in five states and the District of Columbia. The new Jawbone combines unparalleled form and function, widely available just in time to appeal to a broad and growing consumer audience. The new Jawbone received the coveted CNET Editors' Choice award. The award recognizes outstanding consumer electronics that represent the best available choice for quality, performance, design, service, and value. Its logo is a mark of excellence - denoting the best possible investment for consumers. The new Jawbone was also awarded the coveted PC Magazine Editors' Choice Award and 4 Stars Rating. The awards are selected by a panel of PC Magazine editors, and leading industry experts. "We are thrilled that the industry and consumers alike have embraced the new Jawbone," said Founder and CEO Hosain Rahman. "We're humbled by the incredible response and want to thank fans of the Jawbone for their continuing support." Now Available at the Apple Store, Best Buy Mobile, Sprint, T-Mobile, and Verizon Wireless stores. Demand for the new Jawbone and its military-grade NoiseAssassin technology, which is unmatched in its ability to address real-world noise environments like busy streets, and cars and airports, has been tremendous. The Jawbone is sold at the Apple Store, AT&T, Best Buy Mobile, Sprint, T-Mobile, and Verizon Wireless, stores nationwide, and at jawbone.com for $129.99. Compatible with all Bluetooth-enabled phones, the new Jawbone supports more than four hours of talk time and eight days of standby time. Featuring a new fast-charge battery that charges up to 80% of capacity in just over half an hour, the new Jawbone can be charged with the included USB cable on a computer, or with the wall-charger. Jawbone's NoiseAssassin technology literally feels your speech with its patented Voice Activity Sensor (VAS). The Jawbone headset uses the VAS to distinguish the sound of your voice from ambient noise with incredible accuracy and then uses proprietary Digital Signal Processing (DSP) algorithms to subtract the noise so only the sound of your voice comes through. The new Jawbone is designed to look and feel like an accessory along the lines of jewelry and eyewear. Made with premium materials, including medical grade plastic with better cosmetic and health performance, the expressive aesthetic confers a premium visual and ergonomic experience. PR: Newer Technology, Inc. (NewerTech), the leading developer of PC, Macintosh, iPod, and iPhone performance upgrades and accessories, today announced new low-cost "Back to School" essential technology products that help students get the most value from their technology gadgets and computers. New NewerTech 11 Piece Portable Toolkit for servicing and upgrading computers and consumer electronics devices, like iPods. Lower pricing on NewerTech NuPower ViDEO+ rechargeable battery for the iPod video models. The NewerTech 11 Piece Portable Toolkit includes everything a student needs to service, add memory, and upgrade desktop and laptop computers, as well as small consumer electronics devices like iPods. The toolkit features a variety of straight blade and Philips head screwdrivers, Torx drivers, a scissor clamp, tweezers, and two nylon "spudgers" pry tools organized in a padded nylon carrying case for ready access. The NewerTech 11 Piece Portable Toolkit is priced at $17.99. The NewerTech NuPower ViDEO+ rechargeable battery pack, stand and docking station is now priced at only $27.95. NuPower ViDEO+ gives iPod video users up to 80 hours of music or 16 hours of video runtime. It also doubles as a portable charger to give an iPod video internal battery up to three charges. A built-in Dock Connector enables NuPower ViDEO+ to be used with most accessories, including iPods (for synching and charging), FM transmitters, audio out, and video out products. "In these uncertain economic times, it makes financial sense to keep existing technology products working to their maximum capabilities as well as getting the best value for your budget," said Grant Dahlke, NewerTech's Marketing Manager. "These new products and price reductions let students add runtime to their work and play time, perform memory and hard drive upgrades, and expand desktop storage capacity and device connectivity without breaking the back to school budget." NewerTech 11 Piece Portable Toolkit is priced at $17.99. NewerTech NuPower ViDEO+ rechargeable battery pack, stand, and docking station is priced at $27.95. The NewerTech "Back to School" essential tech products are available immediately from NewerTech's exclusive distributor, Other World Computing, at macsales.com , as well as through the retail channel.